Pointwise announced that our Pointwise User Group Meeting 2013 will be held in Fort Worth, Texas on 19-20 March. The first day of the event will be dedicated to in-depth, hands-on training with the latest release of the Pointwise CFD mesh generation software. The second day will feature technical presentations on CFD and meshing technology and applications from Pointwise, our partners, and our customers. Mark your calendars. We hope to see you in Fort Worth next spring. For more details about the Pointwise User Group Meeting check out www.pointwise.com/ugm. If you’re tired of reading about how CFD was applied to swimsuits, bicycles, shot puts and other sporting paraphernalia you’ll enjoy this story about a real live CFDer who’ll be competing in London. Kynan Maley is an engineer for CD-adapco whose day job is to support and train STAR-CCM+ users in Southeast Asia and Australia. 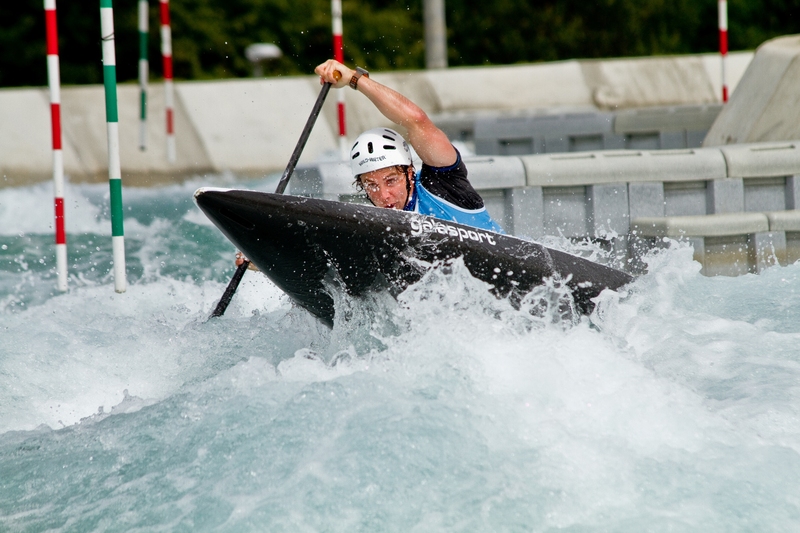 When not doing CFD he is a kayaker who earned a spot to compete at the London 2012 Olympics in the Men’s Canoe Single (C1) and Men’s Canoe Double (C2) events. Kynan has and is using a variety of CFD tools to refine his canoe including adding fins, performing a CFD simulation using STAR-CCM+, and plans to use overset meshing to include the paddle. We wish him the best of luck. If I’m reading the TV schedule correctly, the C1 final will be Tue 31 Jul at 9:00 am (Texas time) and the C2 final will be Thu 2 Aug at 9:15 a.m. (Texas time). csimsoft has released Cubit 13.2, the latest version of their CAE preprocessor. Also, they plan to announce a new name for the product later today, 27 July 2012. BladeDesigner is a CAE tool for turbomachinery blade design that’s available for free on SourceForge. The CIMdata white paper on “CFD for Mechanical Design Engineers – A Paradigm Shift for Better Design” is available for free from Mentor Graphics (registration required). coolingZONE, a community for electronics cooling practitioners, will hold their coolingZONE-12 International Conference and Exhibition in Cambridge, MA on 27-30 Aug 2012. 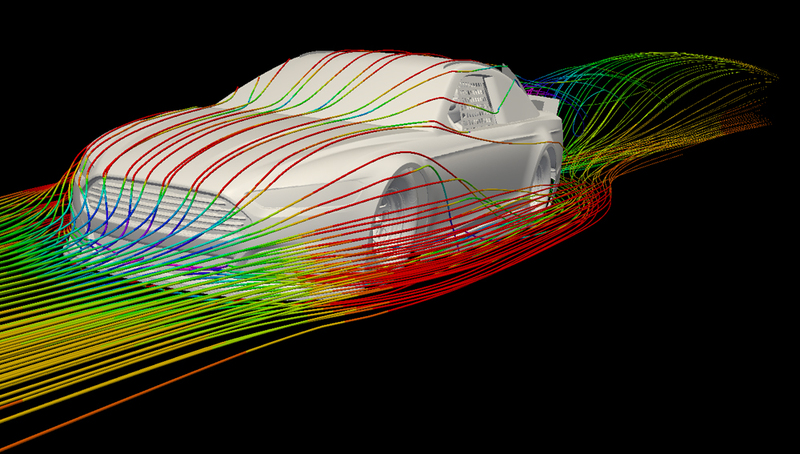 NAFEMS is offering a Practical Introduction to CFD, a four-week online short course, from 28 Aug to 12 Sep. No software is required and homework is voluntary. JAXA, the Japanese Aerospace Exploration Agency, has analyzed a complete rocket engine using CFD with the ambitious goal of reducing design time and cost by 50% and while increasing thrust by 25%. Read more about this analysis including the role played by Intelligent Light’s FieldView at the link (email address required). Part 3 of the 5-part video series Pioneering Large Eddy Simulation with Prof. Parviz Moin is now online. Here are links to the first three parts: Part 1, Part 2, Part 3. CFD solution for the Ford Fusion. Photo from MotorAuthority.com. 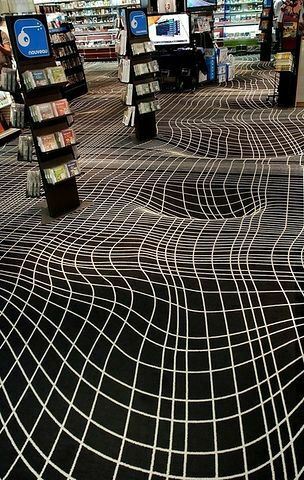 A video game store in Paris has a unique floor covering that only a mesh generator would love. 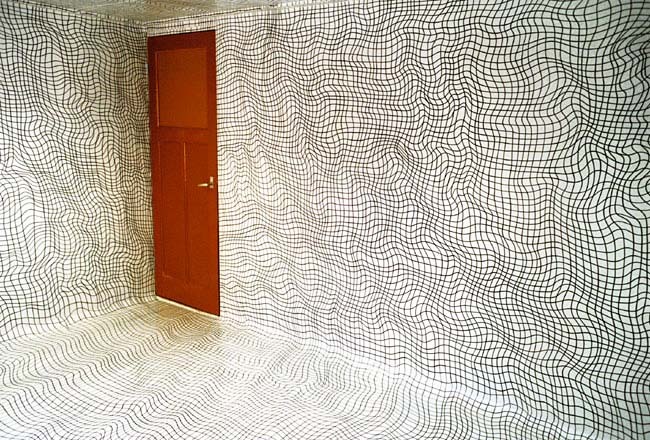 The picture above reminded me of one I saw a couple years ago, an art installation by Heike Weber. I’m tempted to have my office repainted. This entry was posted in Events, News, Software and tagged BladeDesigner, CD-adapco, Cubit, FIeldView, Intelligent Light, Mentor Graphics, NAFEMS, Pointwise, STAR-CCM+. Bookmark the permalink.